Oxygen can damage the kind of bacteria that cause bad breath and may be able to neutralize some of the smelly compounds they emit - such as Volatile Sulfur Compounds. When you use oxygenated toothpaste, you are attacking the bad guys directly. You are attacking the cause of the problem. Most products do not contain oxygen. This is why it might be that oxygenated toothpaste is the best choice for fighting bad breath. 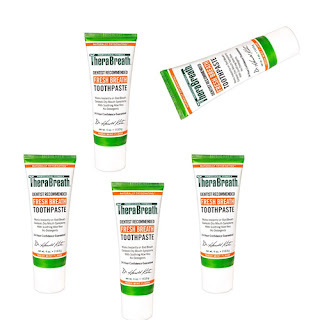 Oxygenated toothpaste for fighting bad breath available on this site. This site is a small business site, by using the above link you will be supporting small business. However, if you are deadset on buying from a big corporation like Amazon, you can find a similar product here.